07.01.2014 - VivaCell now offers an SMS alert for prepay subscribers informing them of their account balance. 14.01.2013 - Orange has started a marketing campaign to promote the benefits of its LTE network, and has completed the expansion of its HSPA upgrade and can now offer internet peak rates of 21Mbps across the country. 03.01.2013 - Vodafone is offering a bonus of up to EUR30 to each customer who migrates their phone number to the Vodafone network. 18.11.2012 - Orange is to enable payment of road taxes to the government by sending an SMS. Orange is to offer international money transfers in its retail stores in cooperation with MoneyGram. 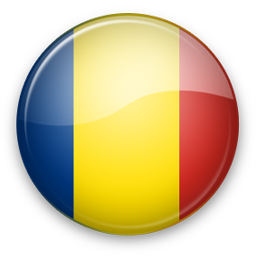 Q: Do you support all Romania networks? A: We support Cosmote, Orange, Digimobil, Vodafone, Zapp and other networks. If some SMS network is missing please contact us and we will find solution for you. We work worldwide! A: You can find documentation and integration examples on SMS Gateway Server.